2 Punk Dogs: Do you think the neighbors will notice? 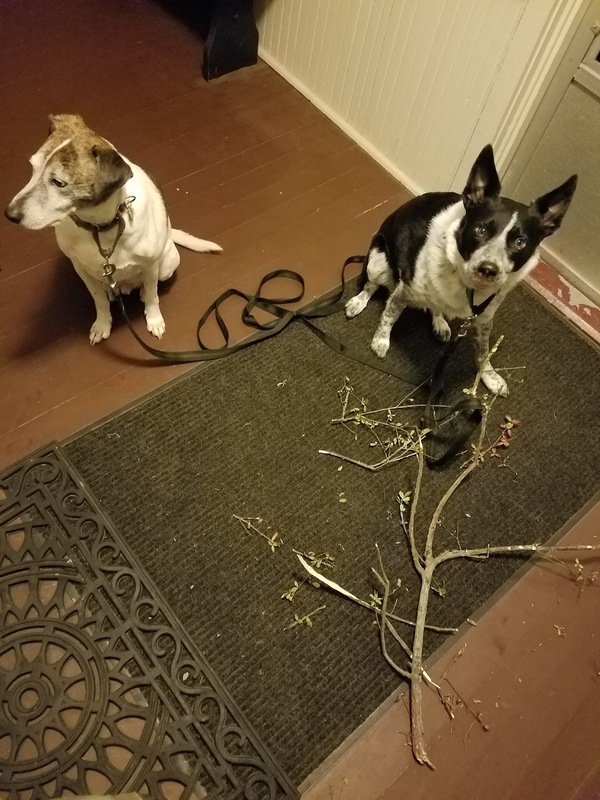 "It got tangled in our leashes, that's what it did!" 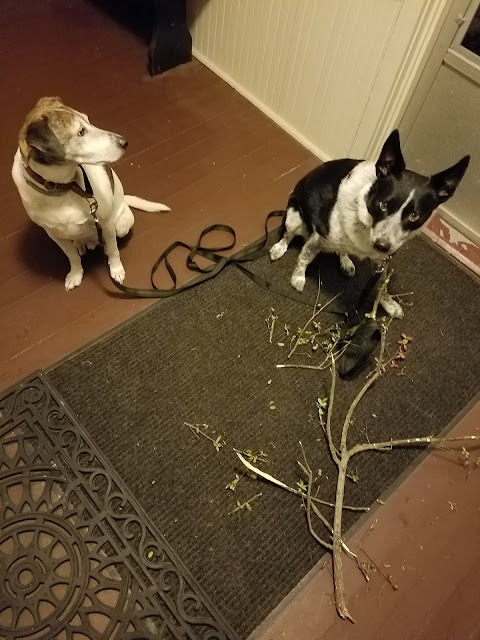 LOL - did you leave them part of the bush? That old bush probably needed pruning anyway! 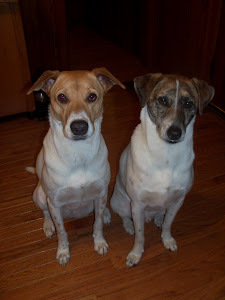 Good job doggies! Love the nonchalant look on Duke! Great looks of innocence! Thats the way to be, show concern, acted surprised and deny. The humans will help you out and hide it for you. The look on your face looks like you are very sorry that you did it, but the inside is saying that was so much fun. Thanks for the share. Have a great day.